Indisputably the lighting of a room/space, whether natural or artificial, plays a vital role on how we perceive the spatial values of it. 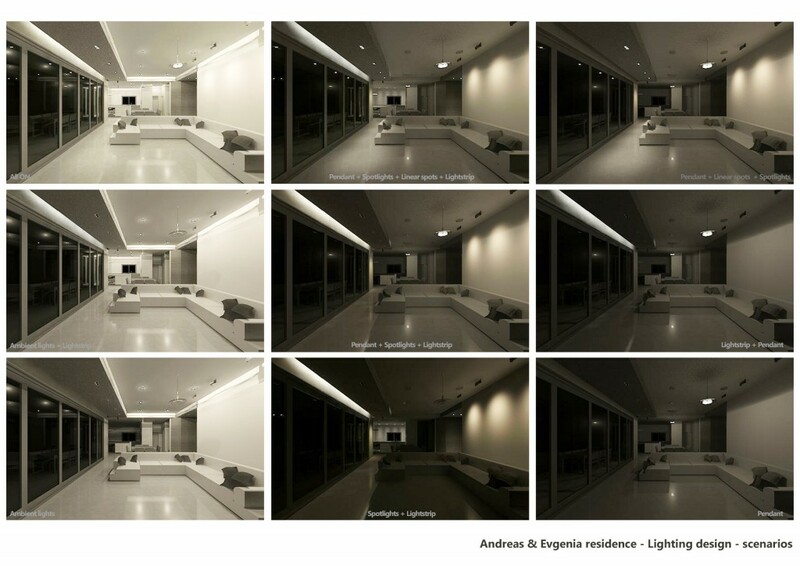 The dynamic and aesthetic value of a room/space is directly affected by the quality of the light. The illumination levels, the color temperature, the shadows, the diffusion, the glare and the reflections are some factors that can transform a room/space. lighting design is the field within architecture and design that is concerned with the design of lighting systems, including natural light as well as artificial light to create comfortable and usable living environments. photometric study is the study where we create a virtual simulation of the lights we have used to compose a lighting design. 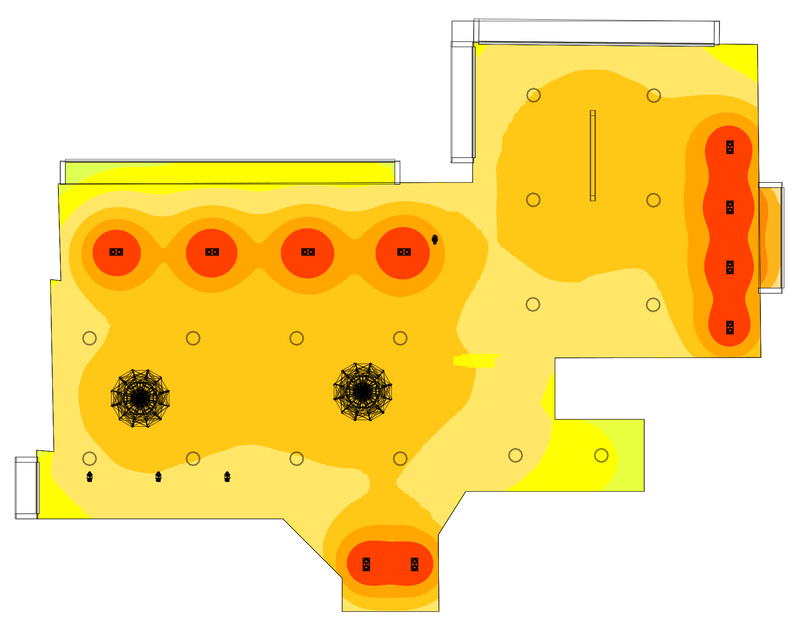 The reason we create such simulations is to analyse whether the light sources we are intending to use will suffice in terms of illumination levels. Also, another reason for creating these simulations is to analyse light distribution, shadows and the contrast between bright and dark areas. Finally, such studies allows us to make the right choices when it come to buying the lighting fixtures and lighting sources. Another service we provide regarding the lighting design is assistance for selection of lighting fixtures. After we have established the desired lighting design and we have also prepared all the technical aspects to support it (through the photometric study), we can assist our clients in the selection of the lighting fixtures they like. Finally, we supervise the installation of the lighting systems to make sure that everything is executed according to the design and the photometric study.